mediSOS . :: Urban environmental health - On occasion of the world environment day lets take a look at urban health conditions ::. How to prevent 10 million deaths a year - An Excerpt from the economic times. Global urbanisation has occurred at an eye-watering rate over the past 60 years or so with some estimating that within just a few decades more than 65% of the planet’s population will call a city home. With these dramatic shifts come significant challenges for public health linked to contamination of air, water and soil, traffic congestion and noise pollution and poor housing conditions, all of which can be made worse by unsustainable levels of urban development. When we factor in the likely impacts of climate change on the built environment, it becomes apparent that we need to act now to protect the health and wellbeing of urban populations in the future. However, there is also an opportunity here: climate change mitigation and adaptation measures in cities can deliver a range of health benefits. These “co-benefits” are likely to result from low carbon policies aimed at lowering greenhouse gas emissions, for example by improving energy efficiency in buildings, reducing dependency on private car use, and increasing renewable energy generation. So what can be done in practice? What are the greatest threats and opportunities for public health in cities and, critically, how can we tackle these challenges? To examine these issues Public Health England has formed Healthy-Polis, an international consortium with universities, environmental and public health organisations, local authorities and consultancies from all over the world, to promote research on urban environmental health and sustainability. nvolved come from a wide variety of backgrounds. Among our membership are environmental scientists, toxicologists, epidemiologists, urban planners, architects, mathematical modellers, engineers, social scientists, and public health researchers and practitioners. Although Healthy-Polis is still a comparatively new initiative, our expanding membership has already published an impressive number of papers, including a special issue on various aspects of urban environmental health and sustainability published in the journal Environmental Health. This publication includes articles on how much the urban heat island effect (which means higher temperatures in built-up areas compared to surrounding rural areas) contributes to death rates during heatwaves, to the health and climate benefits that street trees provide to the urban environment, and what can be done to reduce the burden of disease from indoor air pollution in Europe, through to the effects urbanisation is having on health in China at the national, local and individual level. How are we tackling the major challenges facing us? We are promoting integrated methods of environmental health risk assessment, facilitating international collaboration, contributing to the training of research scientists and students, and engaging with key stakeholders in government, local authorities, international organisations, industry and academia. A major focus of the consortium is to promote and support international research projects coordinated between two or more countries. The disciplinary areas represented in the consortium are many and varied, including environmental epidemiology, modelling and exposure assessment, system dynamics, health impact assessment, multi-criteria decision analysis, and other quantitative and qualitative approaches. It matters because urbanisation continues to change the environments we live in all the time, in ways we couldn’t have imagined. And this work matters. It matters because urbanisation continues to change the environments we live in all the time, in ways we couldn’t have imagined. If we as environmental public health professionals are to seize the opportunity to improve the health and wellbeing of our populations by dealing with the challenges and opportunities that our cities face, we need to know that the interventions we are making are based on robust scientific evidence. But before we recommend them to policy makers in Sydney, Sheffield or Shanghai, we need to know that they have been assessed in a holistic way to maximise the societal benefits, while avoiding unintended trade-offs. For example, reducing energy consumption in buildings through improved insulation can help reduce greenhouse gas emissions and improve thermal comfort, but it might also compromise indoor air quality if adequate ventilation levels are not maintained. Active travel (walking and cycling) can also help reduce air pollution and greenhouse gas emissions from cars, as well as improve physical activity levels, which will benefit our physical and mental health. Although health benefits from increased physical activity generally outweigh potential impacts related to traffic accidents, the design of walking and cycling infrastructure in our cities needs careful thinking to maximise the benefits and minimise any unintended negative effects. Another good example is urban tree planting. 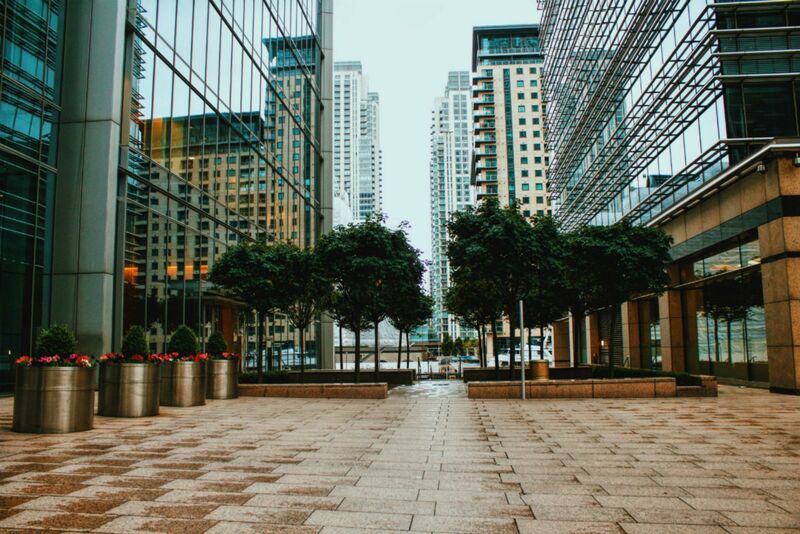 There is evidence to suggest that planting trees in urban areas can bring multiple benefits, as they can soak up some air pollution and provide shading to buildings, critical in our future warming climate. However a tree species that produces certain types of pollen could also produce adverse health effects in those sensitive, or may require a high energy input for maintenance and upkeep, which could actually make it an environmental detriment. The point of Healthy-Polis is to explore exactly these types of complex urban environmental health issues and develop the evidence so that policy decisions can be informed by thorough science. We also intend for the project to capitalise on public health opportunities, support international collaboration, build research capacity, and promote dialogue between researchers, policy-makers and local communities. Of course we will also contribute to making our cities even better places to live.